One thing about the tasting surprised me immediately: I hadn't realized quite how much cabernet sauvignon was planted in Provence. It was largely absent in the Var, for example. Yet it formed a basis for many of the Côteaux d'Aix en Provence reds. Philippe Bru, the cellar master at Château Vignelaure, explained that it was in fact the original Bordelais proprietor of Vignelaure, Georges Brunet, who was among the first to plant cabernet sauvignon in the region in 1966. 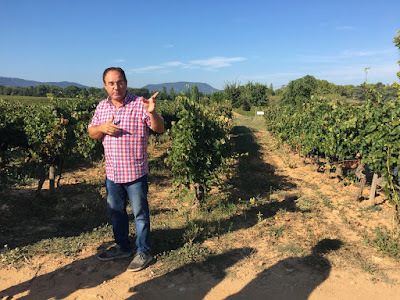 It later occurred to me we weren't far from Les Alpilles, where Domaine de Trevallon has seen great success with cabernet. Château Vignelaure winemaker Philippe Bru. He's not actually standing in cabernet vines here, as I recall. I don't have anything against cabernet sauvignon. But like many of the dark, heavy varieties that were planted throughout the south since the late 1960's, it seems a relic of a different era - the one Robert Parker would seize upon ten years' later. For what it's worth, it was also a cooler era. Nowadays I sense a certain wistfulness among Provençal winemakers who wish they had the vines and the climate to produce something other than highly technical rosé for refreshment in the Provençal heat. Even in late September, the temperature was such that most red wine was rendered unpalatable. A splendid lunch at Château Vignelaure. A notable exception was Domaine du Sulauze's 2014 "Chapelle Laïque," a biodynamic, low-sulfur single-vineyard cinsault with a touch of co-planted grenache. Lean, wiry, lightly spritzy, it was a simple raspberry-toned red one could easily stomach in the southern heat, evoking a bygone time when light reds and rosés resembled each other rather more. 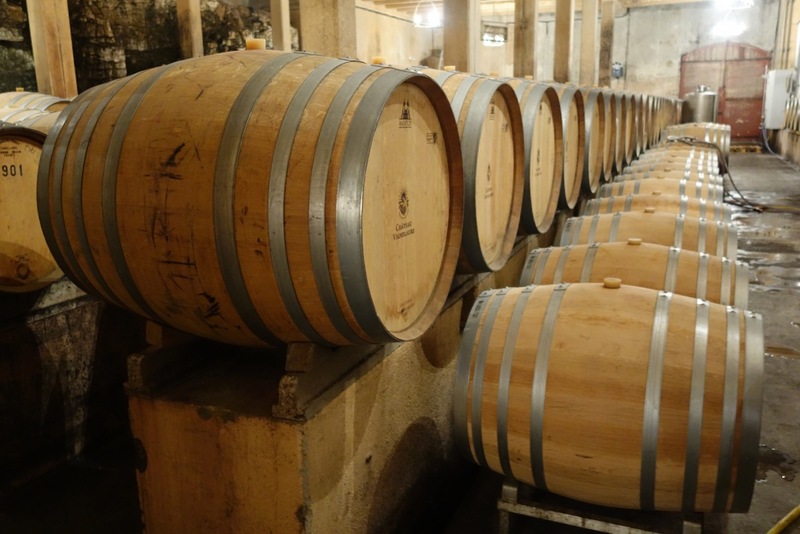 Apart from Domaine du Sulauze, the only estates present with any significant ties to the natural wine market were Château Bas and Château Revelette. 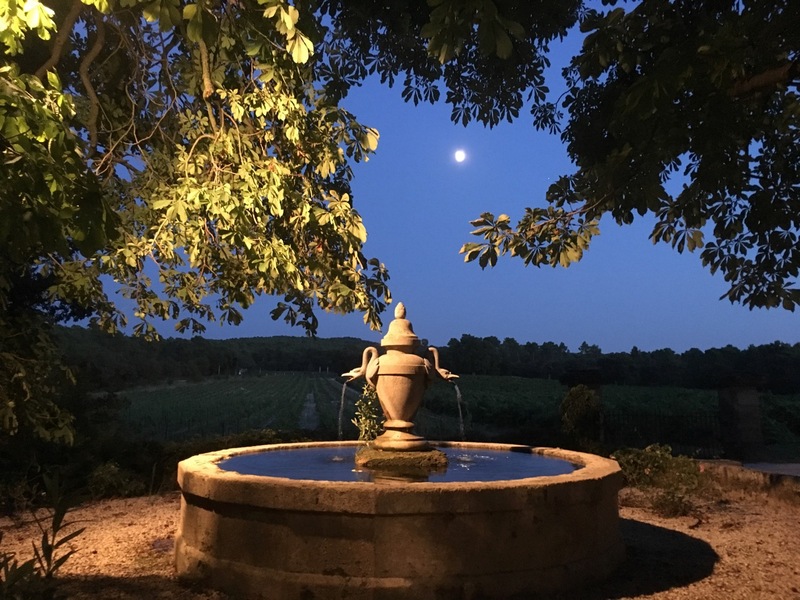 Château Bas is the far larger of the two at 72ha, while Château Revelette, owned by UC Davis-educated German winemaker Peter Fischer, extends over 24ha. Both domaines kind of have it both ways, producing great quantities of extremely safe organic wines alongside smaller quantities of more interesting natural cuvées. The latter were not presented at the tasting. I sense that Fischer in particular commands great respect among fellow winemakers in the region; I hope someday to better understand why. 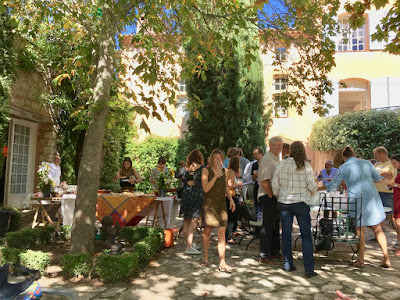 The 2006 Côteaux d'Aix en Provence "Le Grand Rouge" was among the older vintages presented at the tasting that day, showing powerfully, punishingly over-extracted and over-oaked. It felt almost like a parody of the style indicated in its name. The wine beside it, Château Bas' 2005 Côteaux d'Aix en Provence "Cuvée Temple," suffered from similarly monumental treatment. Given Trump, climate change, and ebola, it seems possible the world will end before these wines open up. Château Bas were also responsible for the day's most surprising wine, a white "Cuvée Temple" from 2003 that was opened over lunch afterwards. Deep golden, honeysuckle-scented, and grippy from a touch of skin maceration, the rolle-sauvignon blend was an unlikely triumph, preserving just enough acidity despite age and a hot vintage. 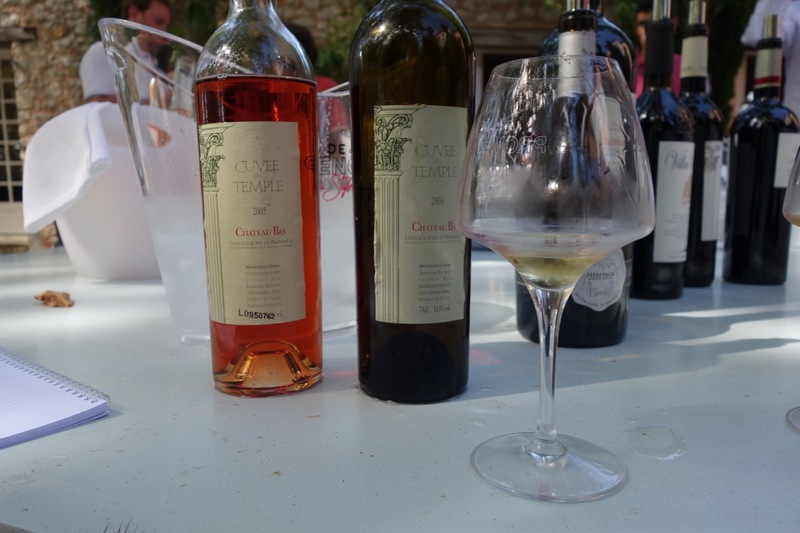 Unlike almost all Provençal white wine produced today, Château Bas' "Cuvée Temple" does malolactic fermentation, a key criterion for an age-worthiness. 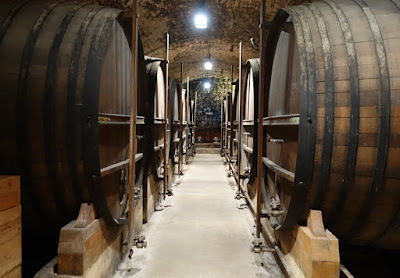 Old foudres at Chateau Vignelaure. No longer in use, sadly. Among the most interesting wines of the tasting, at least from a historical perspective, was Château Vignelaure's 1985 rouge, from back when the domaine still aged the wine in their beautiful old foudres. 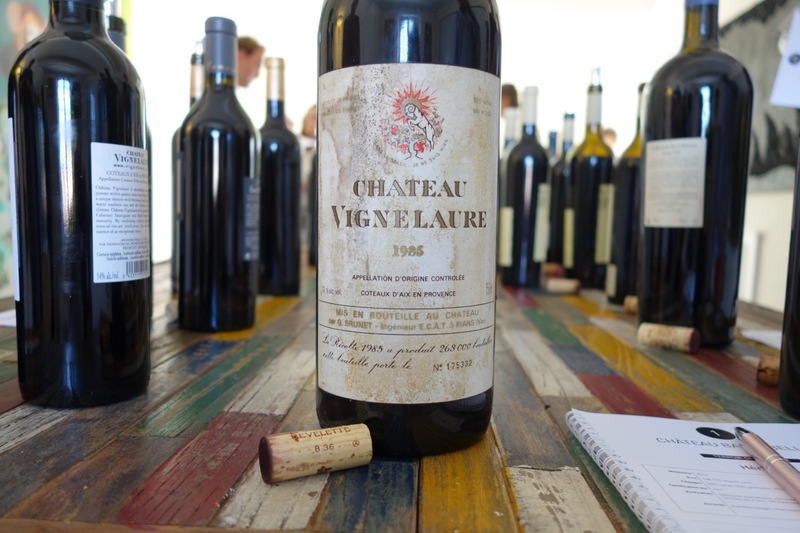 It showed its age, but one sensed it had been made with an admirably traditionalist, old-school Bordeaux ideal in mind. 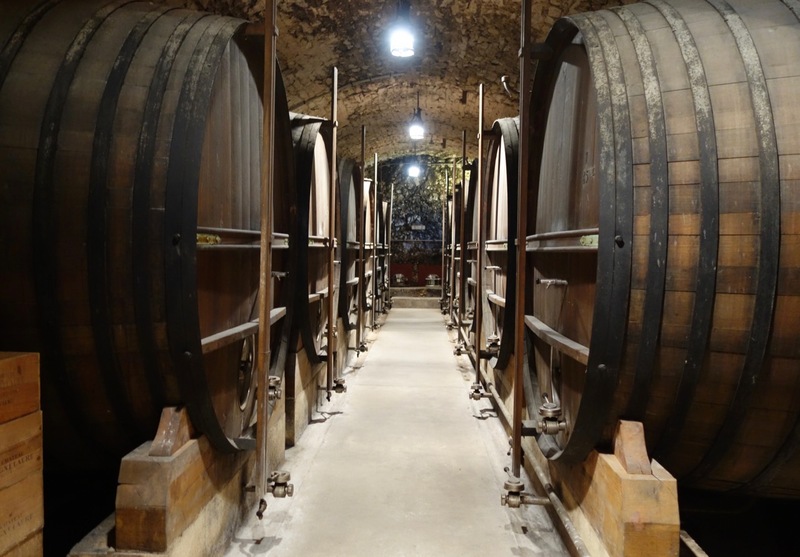 Cellar master Philippe Bru's work today is more modern, but his wines showed impressive restraint compared to others in the tasting, never going outright over-the-top in extraction or oak. 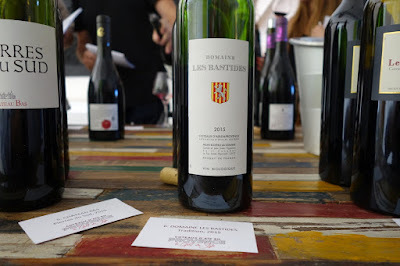 Two other nearby domaines, the organic Domaine Les Bastides and the biodynamic Domaine La Réaltière, caught my attention that day for their wines' frank, dimensional aromas - sure indicators of indigenous yeast fermentation. 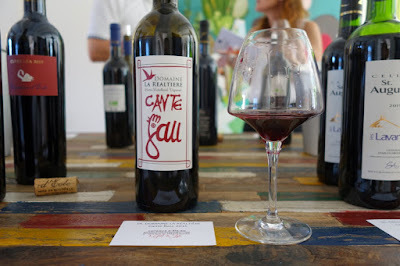 Domaine La Réaltière's carignan-grenache-syrah blend "Canta Gau" was rather more feral and tightly wound, whereas Domaine Les Bastides unassuming cuvée "Tradition" was extraordinarily pleasureful and supple, with a wholeness to its nuanced dark fruit. Another reason for this pricing could be simple immodesty. 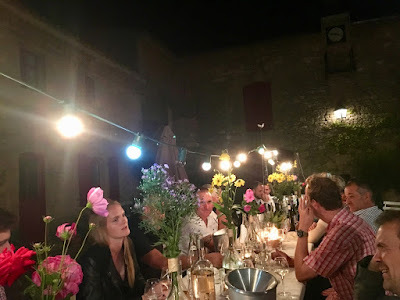 The owners of the châteaux in Provence are, as I mentioned, fabulously wealthy, and they quite understandably wish to produce at least one wine that friends and family who enjoy similar purchasing power might consider sufficiently expensive as to merit esteem. Hence so many titanic, dense wines, collectively resembling a wannabe Bordeaux on the mediterranean. The barrel room at Château Vignelaure. In this we can still nonetheless read positive signals. The Côteaux d'Aix en Provence AOC produces 85% percent rosé, which sounds high, until one realizes that Côtes de Provence and the Côteaux Varois en Provence both produce just over 90% rosé. This gives the Côteaux d'Aix en Provence AOC a slight head start at the realignment that would occur, should mass consumers one day tire of faceless chemical Provençal rosé. And as the wines of Domaine du Sulauze, Domaines Les Bastides, and others demonstrate, the terroir is perfectly capable of producing distinctive, balanced blends based on lighter grapes like grenache and cinsault, if given the chance. A very meat-intensive welcome dinner at the Château Barbebelle. We were heaped in meat. A good comprehensive 2016 post on Peter Fischer of Château Revelette at Marion Barral. My visit and interview Jean-Christophe Comor this past July. 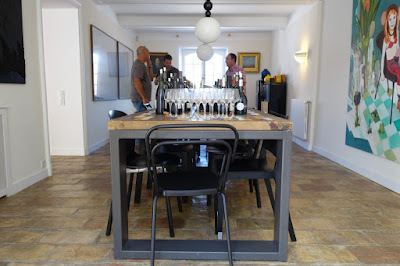 My visit to the Côteaux Varois en Provence AOC in May.